Think you are the ultimate gamer? Do you play your PS3, XBox, and a Wii daily? Do you have a PSP in your left pocket, and a DS in your right? 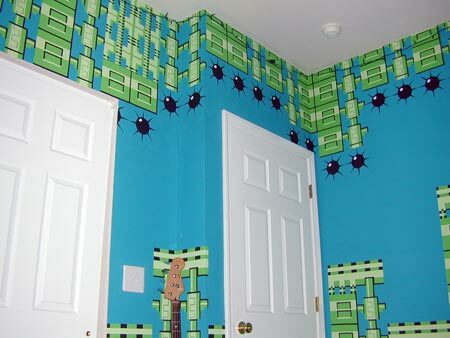 Well, I bet you don’t have one of these yet — a true gamer’s room. 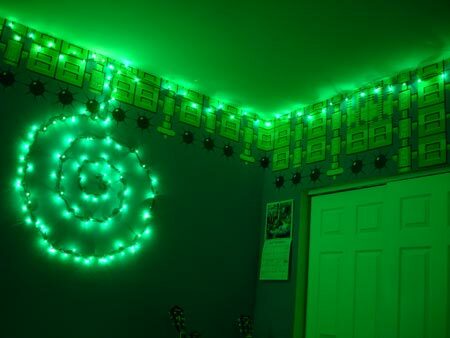 This guy’s room is one of a kind. 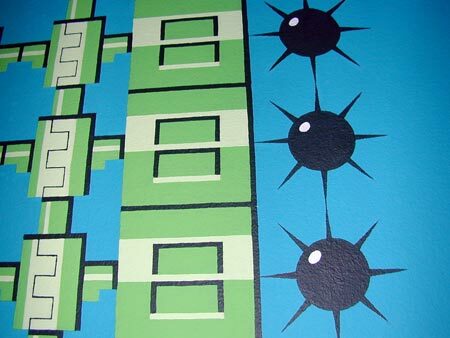 It took him 3 months of measuring, stenciling, panting, and retouching to produce this Bubble Man level from Mega Man 2. If that wasn’t cool enough, he also does Mega Man cover songs. Check out his myspace. 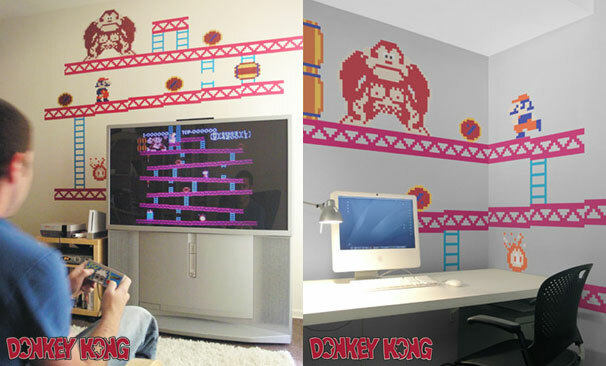 If you are like most, and have no patience to create the ultimate gaming room, the decal company Blik can help you out. 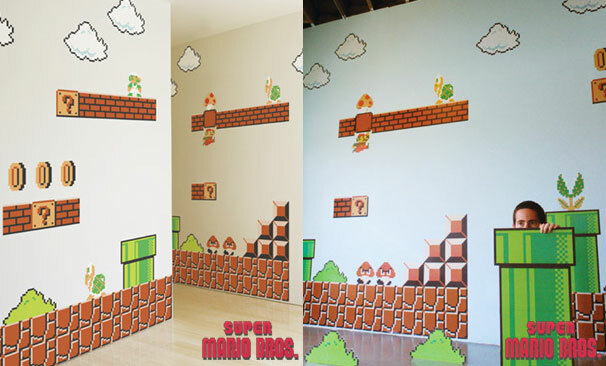 They sell officially licensed decorative stickers that will turn any room into a glimpse into the 80s gaming era you were probably to young to remember. 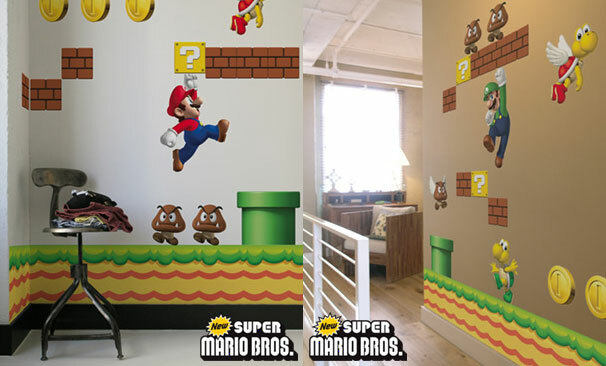 Check out their Nintendo Wall Graphics. Via Geekologie and Kotaku.